Craig Lowndes has taken Race 24 on the V8 Supercar Championship Series at the Barbagallo Raceway, securing his first race win in a Ford at the West Australian circuit. Lowndes and Barbagallo have a chequered past. He won 12 straight races (four rounds) back when he drove with the Holden Racing Team, and now, he has a western win with the blue oval. While Lowndes continued his winning ways at the track, his team-mate was the man with the biggest smile. 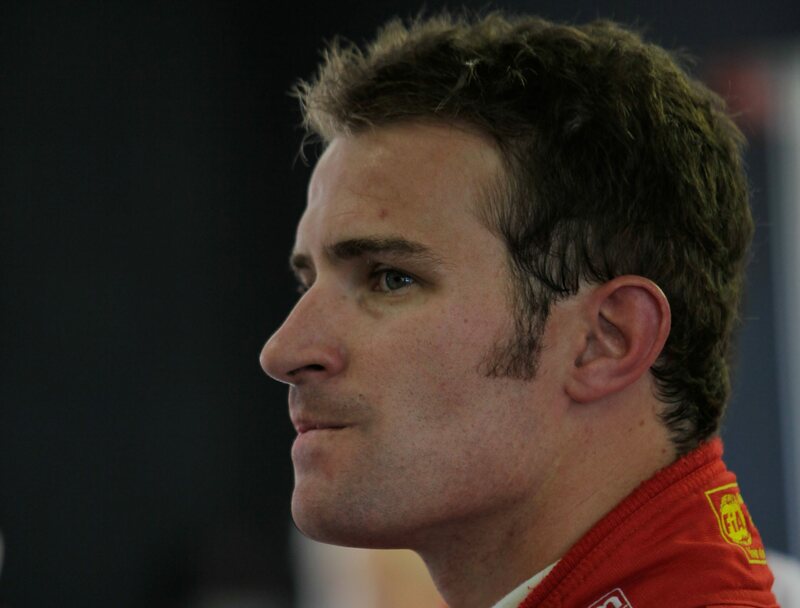 Jamie Whincup started from pole position, finished fourth and now sits 281 points ahead of Toll HRT’s Will Davison in the title chase after the latter crashed out, failing to finish the race. It means that Whincup will need to fail to finish both races at Sydney Telstra 500 for Davison to have any chance at winning the title. It was a race of championship moments, terrific strategy, a mid-race crash and, for the second round in a row, a Safety Car controversy. Lowndes started the race with the control tyres before strapping on his Dunlop Sprint tyres, which he used for 44 laps to complete the event. “This track has been very kind to us in the past, last year probably didn’t go the way we wanted, even though Jamie scrambled onto the podium, but this weekend showed us that you have to look after your soft tyres, you have to use them at the right time,” he said. Jim Beam Racing’s Steven Johnson took a hard-fought second place, emulating Lowndes’s strategy (taking the Sprint tyres during the race’s only Safety Car period) to take his second podium place for 2009. “It would have been nice to get a few more laps before the Safety Car, but we banked on doing 30 or 32 laps on them and knew we just had to keep it pretty straight,” Johnson said. Johnson’s only major issue during the race was during his pit stop. Johnson pitted at the same time as his team-mate James Courtney and was forced to wait. Then, only three wheels were correctly fitted, making the #17 Jim Beam car lose more time. His recovery from that, though, helped him move ahead of Mark Winterbottom in the championship, retaking fifth place. 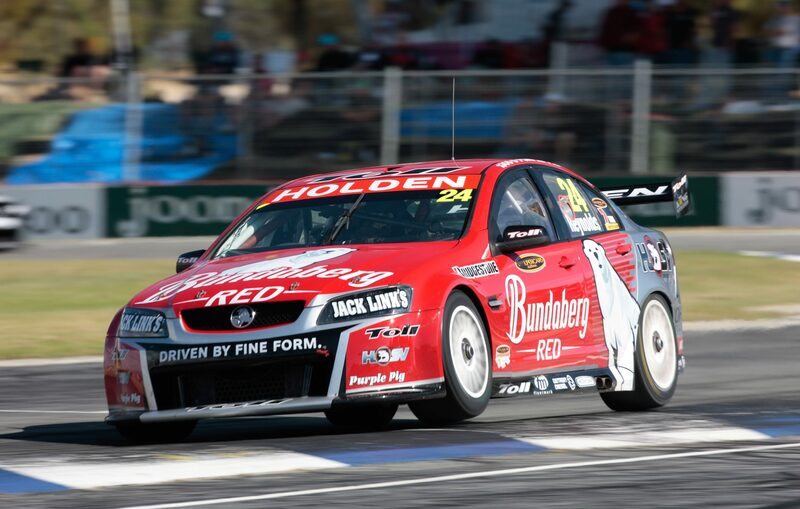 Third was taken by Toll HRT pilot Garth Tander, taking the final spot on the podium at his home circuit. The Holden man started the race on the Sprint tyres before finishing on the control rubber. “We held on as long as we could (on the Sprint tyre) and dropped back through the field,” he said. Championship leader Jamie Whincup took fourth place, shoring up his title position. Only disaster at Sydney Olympic Park will see him denied his second V8 title in a row. A mid-race incident shaped the race outcome when Sprint Gas Racing’s Jason Bargwanna turned around Jack Daniel’s Racing’s Todd Kelly at the final turn. Kelly’s Commodore was left stranded in the middle of the track and was collected heavily by Valvoline’s Garry Rogers Motorsport. The Safety Car was called to clear the stationary Kelly car, and for the second round in a row, a controversy surrounded the execution of the XXXX-sponsored Audi Safety Car. While the leaders did their pit stops, the Safety Car was let out onto the track and was parked between turns four and five – while other cars were still operating at race speed, trying to get back gain track position as some pitted. Fifth place went to Russell Ingall, ahead of Jason Bright, Bargwanna, Steven Richards, Cameron McConville and James Courtney. The final round of the V8 Supercar Championship Series will be held at Sydney Olympic Park for the inaugural Sydney Telstra 500 (December 4-6).